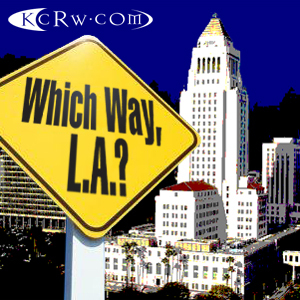 SANTA MONICA, CA, April 25, 2012 – Next week, KCRW (89.9FM and KCRW.com) celebrates 20 years of the critically acclaimed radio program, Which Way, L.A.?, which was birthed in the midst of the 1992 Los Angeles Riots. Hosted by award-winning moderator Warren Olney, the show has received nearly 40 national, regional and local awards for broadcast excellence and continues be a staple when discussing Los Angeles public affairs. 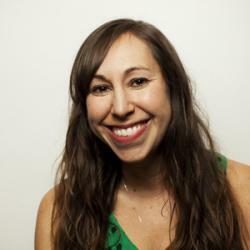 The signature KCRW public affairs program started as a way to discuss the troubling social issues exposed by the riots. 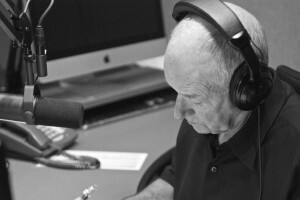 Initially beginning as a series of round-table discussions, the show elicited such passionate responses from Los Angeles residents it became a regular broadcast. Now, 20 years later, Which Way, L.A.? continues to provide a much needed outlet for Angelinos to voice their concerns and examine important issues. 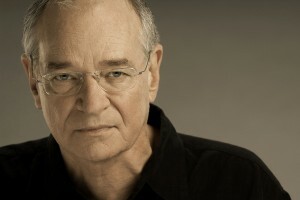 Warren Olney began his career in public radio with Which Way, LA?, making this month his 20th anniversary with KCRW. Warren most recently received the 2012 Lifetime Achievement Award from the Radio & Television News Assn. of Southern California. He and his team have won a multitude of prestigious recognitions for their work, including a Golden Mike Award for “Best Public Affairs Program”. Warren Olney Profile – Behind the Scenes at KCRW. A mini-doc produced by Colin Hanks. In a special encore concert to KCRW’s World Festival, Wilco performs at the Hollywood Bowl. They will close the 2012 summer season on Sunday, September 30. This performance is not available on subscription. Single tickets to Wilco and all other shows for the Hollywood Bowl 2012 will be available starting in May 5. KCRW’s World Festival is presented in partnership with the Los Angeles Philharmonic.